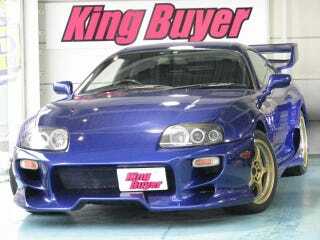 What's The Best Supra On Goo-Net? I dig this SZ-R. Bodykit and all. The blue body and yellow wheels look great with each other. Looks better than the Veilside Evolution Demo Car, and I find that car gorgeous. Find a better Supra on Goo-Net. It’s possible, there are certainly better cars there, but a better Supra? I’m not sure. Prove me wrong. As a bonus the engine looks mostly stock, more room for upgrades or keeping it like that so it won’t hemorrhage it’s internals all over the engine bay. Actually how much power can you shove into 2JZ-GTE before it nukes itself.. I want to know, kinda. You’ll need to start here, we are looking for Supra’s after all. And not Rokom Trailbreaker bikes or Honda StepWgns or Celica’s.